The Ford Escape ST-Line is a new model to the local Ford range, a sports-oriented mid-sized SUV, that will go on sale in September this year. As more and more buyers are moving from sedans and hatches to the practicability of an SUV Ford Australia can obviously see an opening for added sales. The 2018 Ford Escape ST-Line features bold exterior and interior styling, unique alloy wheels and sport seat designs. The 18-inch Absolute Black alloy wheels are matched to the front grille, foglamp surrounds, roof rails and rear valence to give a tough, sporty look. Though it’s nominally an SUV, the ST-Line is aimed at on-road performance not off-road running. It has lowered ride-height by 10mm, retuned steering and thicker anti-roll bars for reduced body roll and sharper responses. A new leather trim design is used throughout the cabin, it features red-stitching to match the ST-Line logo. Red stitching is also used on the gear-lever and steering wheel. Stainless steel pedals match the scuff plates and sit over the ST-Line floor mats. 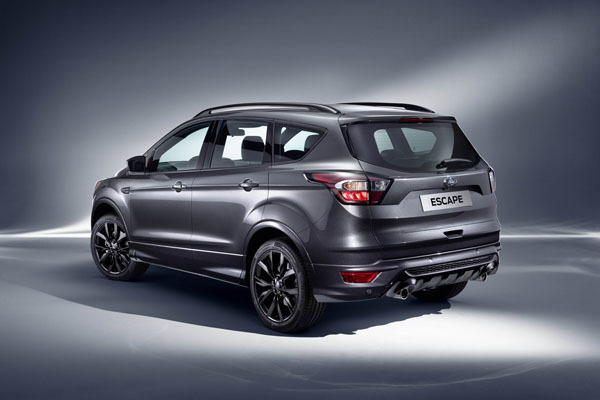 Escape ST-Line has Smart Keyless Entry, Blind Spot Information System and Rear Cross-Traffic Alert as part of its Driver Assist suite. An optional ST-Line Technology Pack (MLP $800) adds Adaptive Cruise Control, Forward Collision Alert, Tyre Pressure Monitor, Lane Keeping Aid with Lane Departure Warning. 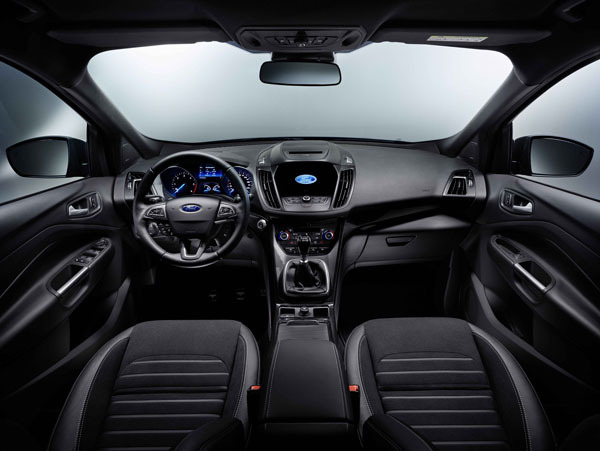 Ford’s SYNC 3 system is standard across the Escape line-up and includes in-built voice activation, native sat-nav as well as Apple CarPlay and Android Auto compatibility. Apple users can enable Siri for iPhone functions. Power comes from 2.0-litre four-cylinder engine with 178kW of power and 345Nm of torque. The official fuel consumption is 8.6L/100km on the combined cycle). It uses Ford’s Intelligent-All-Wheel Drive, which adjusts the delivery of torque to each wheel every 16 milliseconds to maximise road grip and safety. Previously an option on topline Ford Escape models, AEB (Autonomous Emergency Braking) is now standard in all 2018 Escapes. A smart move because more and more stupid drivers are spending time looking at their phones instead of the road ahead. 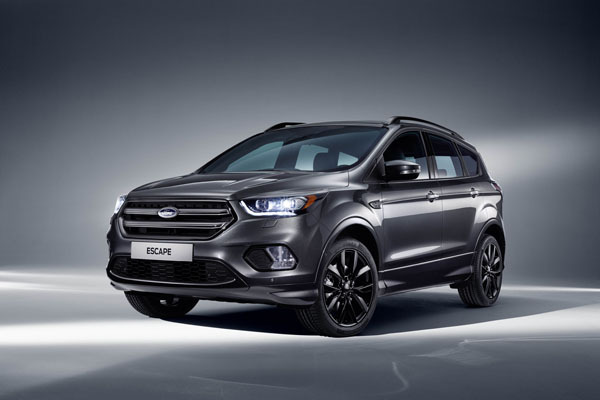 Though it’s not going on sale until September this year it might be an idea to contact your local Ford dealers sooner as we can see the Escape ST-Line being in high demand. Note: These prices does not include government or dealer delivery charges. Contact your local Citroen dealer for drive-away prices.